This is funny, people are claiming (http://www.google.com/support/forum/p/Google%20Mobile/thread?tid=04935f1855c27f2a&hl=en) that there is something called All Contacts group in Google Contacts. That feature/category is gone for a while. Now your contacts are grouped into My contacts and Other contacts plus all the groups you have created. All Contacts used to contain your contacts plus other contacts, which are contacts that you emailed but you didn't add to your contact list. Not the answer you're looking for? Browse other questions tagged google google-contacts or ask your own question. Birthday reminders for Google Contacts? 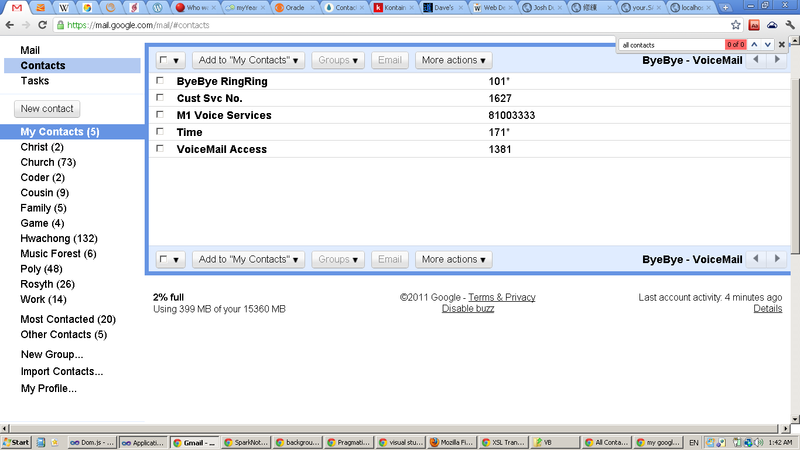 Gmail / Google Contacts: Is it possible to select Contacts in 2 specific Groups? Or Contacts in 1 specific Group and not another specific Group? Is there a way to tag Google Contacts instead of grouping them? How do I delete all contacts in Google apps permanently?